How to Create Twitter Lead Generation Cards? Home > Blog > Blog > How to Create Twitter Lead Generation Cards? The latest news in the world of social media is that Twitter has introduced the lead generation cards, which is again a new type of twitter cards that will let the marketers to gather leads directly within the tweet. The best thing about these cards is that they themselves pull out the users’ information like their names, email address and user names and the users need not fill the form , they just need to hit the submit on the card’s call-to-action. Although it is a paid feature of twitter ads but still we can have tons of ways to get the most out of it. However, let’s go ahead and first get to know how to create the twitter lead generation cards. If it is the first time you are going to collect the data through the twitter lead generation card, you need to set up a CRM end point integration. It will in turn allow you keep a track of all the leads produced by the lead generation card within your CRM. As far as the compatibility of the CRMs is concerned, twitter has a list of them that will work with lead generation cards. After you have set up the CRM integration, you can go ahead with the creation of lead generation cards. Like it used to happen with other twitter cards that you had to make changes to the HTML or CSS on your website for them to appear , you don’t need to do it in case of lead generation card. Going ahead with the lead generation card creation you first of all have to go to the twitter advertising interface, which is located in the drop down menu in the top right corner of your twitter homepage screen. Now after you are in the ads interface you will see the option of ‘advertising’ in the top left click on it and select ‘cards’. You will get the option to ‘create new card ‘at the top right click on that. This is how you can start creating the lead generation cards. While picking up the image make sure the image is not larger than 1 MB, upholds a minimum of a 4:1 aspect ratio and is either as a minimum 600px wide or more. Well! Talking about the description, hopefully you are smart enough to know what should there be. Exactly you need to talk about why your offer is so great. You need to do the same thing that you were doing in case of landing page title, make it short and crispy however descriptive. At the same time make sure it does not exceed 80 characters. • And a compelling call-to-action. After picking up the right image and the perfect description you need to place the call-to-action correctly. You can place it at the bottom of the lead generation card. See the text of your CTA has to be action-oriented and its language should be tailored to the offer. Now after you have created your lead generation card, you need to make sure it is actually working the way it should. Let me tell about few things that have to be kept in mind in this section. In order to get the users’ data after they got engaged with your lead generation card you need to successfully adjust the technical settings. 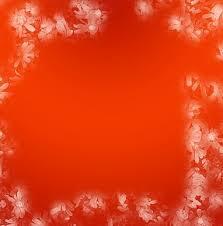 Here we have the list of information that you need to fill in this section. • Post/Get Option: Well! Here the post dropdown option is meant to send the information to your server and the get option is to retrieve the data. If in case you are getting skeptical about which one to select kindly consult your development team or a techno friend for a little direction. • Submit URL: The URL to which you submit your leads are known as submit URL. 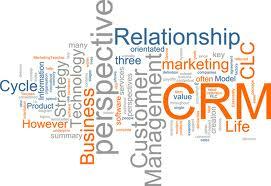 Make sure it is end point to your CRM system. • Fallback URL: Sometimes what happens that users click on a lead generation card on a non-supported platform. In such cases, they are taken to the fall back URL link. One remarkable idea here is you can make this link as your landing page as you will get more chance to convert visitors into leads from here. Besides, after performing the above mentioned task, you will need to customize the user information to be consistent with your CRM fields. You and twitter might use different labels for the same thing, so customizing the user information will help you maintain the consistency. Go ahead and double check the key names to make sure that the twitter leads are properly listed and organized within your CRM. 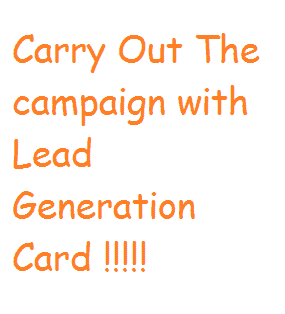 After doing all this you are all set to go ahead and promote your lead generation card. You simply need to click on ‘create card’ to do so. The final thing that you need to do in order to get the leads is to run the campaign and push your lead generation card in front of the users. After following the above mentioned steps you can successfully launch the twitter lead generation card however a twitter lead generation card does not includes much information about the users. In such case it will not be easy for you to qualify these leads as potential leads. 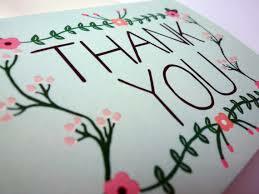 Therefore, in order to convert the twitter leads to potential leads you will need to conduct a lead nurturing campaign. But still, the twitter lead generation cards are going to be quite helpful in collecting the data about the users and converting them into leads that can be qualified easily.